CBEC Cares for Raptors, and You Should Too! Adopt a Raptor! Adopt one of CBEC’s captive non-releasable raptors and help us continue to provide the best available care for these distinct and remarkable birds of prey. CBEC is home to a variety of non-releasable birds of prey. These rehabilitated raptors have experienced injuries or trauma that has left them unable to fend for themselves in the wild. 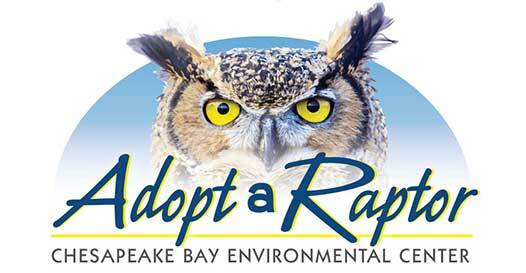 Help us take care of them by adopting a raptor! 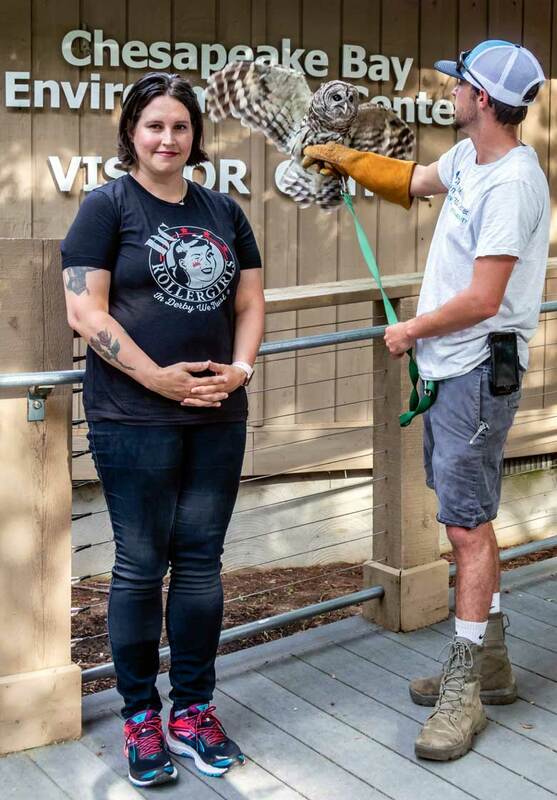 CBEC’s red-tailed hawks, barred owls, screech owls, and great horned owls are evaluated by licensed rehabilitators, identifying animals that can be habituated to be used by staff in education settings and for corporate/community outreach programs. These programs promote raptor identification, habitats, and ecological roles. CBEC works with local veterinarians to provide high quality care for all its raptors, even those that are not suited to be part of CBEC’s educational programs due to their age or injuries. CBEC adheres to requirements on care protocol and housing specifications laid out in both state and federal permits that are held for all species in its possession. Because CBEC’s raptors have become important ambassadors for the region’s environmental education and preservation movement, it is imperative they receive the care and attention they need. Kathleen Monahan was one of the first to Adopt A Raptor. She enjoyed her photo opportunity with the Barred Owl.